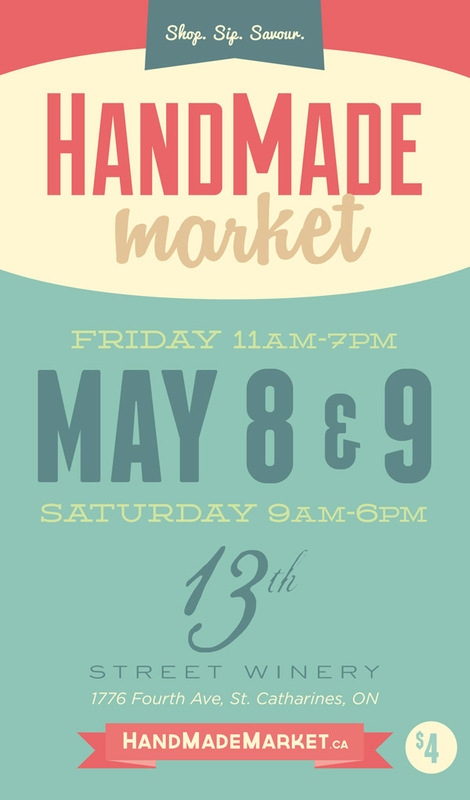 I've been busy today packing up all my aprons, robes, cosies and zipper pouches for the HandMade Spring Market, happening this Friday and Saturday at 13th Street Winery in St. Catharines. If you still haven't bought your mom a Mother's Day gift, this is the place to do it. Or better yet, bring her along! In addition to some amazing art and craft, there will be food trucks, damn fine wine and some of the best buttertarts I've ever had. And buttertarts are kind of my thing.